Need Long Distance Moving To or From Richmond Beach? We Have You Covered. 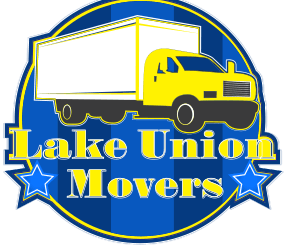 Serving the Puget Sound area we provide an assortment of moving services to communities along the shoreline and of course across the valleys and foothills of Western Washington. As Richmond Beach long distance movers, our company delivers all the moving services you are looking for. Our moving company is ready to move you home to Richmond Beach from across the country or across the street. Our business is to handle your relocation swiftly and professionally so you can get on with your life. We enjoy being first in helping folks get settled in their new home and we would like to help you too. We strongly recommend making use of our optional packing services when fragile items are involved or long distances are going to be covered. The unplanned stops and possible rough roads can challenge even the most properly loaded moving truck. Besides protecting your belongings to highest extent we can, our reliable crew is happy to lighten the load of your moving to do list. It takes time and energy to safely pack in preparation for a move of any size and duration. You can know that we will come stocked with all the moving supplies your home should require. Just a day or so in advance, we will have your home ready to go and you can be rest assured everything is secured safely for moving day. Use your smart phone or other mobile device to text us for a free quote at 206-659-3874 or Click here for a free estimate today! on long distance Richmond Beach moving services.